On May 6, 2016, the Treasury Department announced that it—along with the Department of Labor and the Pension Benefit Guaranty Corporation—was rejecting the application the Central States Teamsters filed for benefit reductions (a.k.a. suspensions), as submitted in September 2015. In rejecting the application, Special Master Kenneth R. Feinberg gave three reasons the application didn’t meet legal requirements under the Multiemployer Pension Reform Act of 2014 (MPRA). Under the law, the proposed reductions need to be “reasonably estimated” to achieve the continued solvency of the plan. In other words, if the proposed reductions won’t stop the plan from becoming insolvent, the reductions won’t be approved. Specifically in this case, the Treasury Department determined that two of the actuarial assumptions used in the application were not reasonable. The annual investment return rate of 7.5% was deemed overly optimistic and not reflective of the plan’s negative cash flows and current economic data. The entry age assumption used in the application was 32 years old, the average age at entry for the current active workforce. Treasury indicated the plan should have used a demographic mix of ages, as it had used for other parts of the application. The 32-year-old assumption affected cash flow projections relating to the amount and timing of anticipated benefit payments. Notices to participants about the proposed reductions weren’t written in a way that the average participant could easily understand. Specifically, Treasury noted the use of language that was too technical and terms that were not clearly defined. 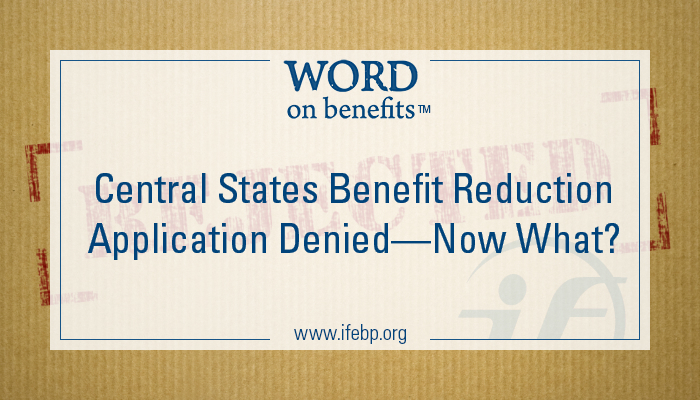 Can Central States submit another application for benefit reductions? Yes, they can. As of the date of this writing, Central States hasn’t announced its next actions. In an interview, as reported by The Hill, Central States’ executive director Thomas Nyhan has indicated that if the plan were to apply again, the proposed benefit cuts would be more severe than the ones proposed in the original plan. The plan’s financial condition continues to worsen; the fund is projected to run out of money within ten years if not sooner. If Central States fails, the PBGC would step in to provide financial assistance to participants, as they would when any defined benefit (DB) pension plan fails. The PBGC guaranteed benefit is capped at a statutory limit, so participants may receive less than they would have received from their own plan. The PBGC, however, is also facing financial challenges. According to a report released in March, the PBGC multiemployer program is likely to run out of money by 2025 unless changes are made. Two bills have been introduced into Congress (each has a House and Senate version) to change some or all of the MPRA benefit reduction provision. In the current environment, however, it seems unlikely that such a bill will pass during this congressional session. It is unknown what will happen after the November elections. How will the Treasury decision for Central States affect other pending benefit reduction applications? At the time of this writing, four other plans have filed for reductions. Those applications are still being reviewed by Treasury, in consultation with the DOL and PBGC; the agencies have 225 days to review them. The second plan to file an application (after Central States) did so in December. If Treasury uses all of its time to review the application, we would expect to see their decision in late July or early August. How will the Treasury decision for Central States impact other multiemployer pension plans considering reductions? Fortunately, the majority of multiemployer DB pension plans are adequately funded and able to provide full benefits to their participants and beneficiaries. 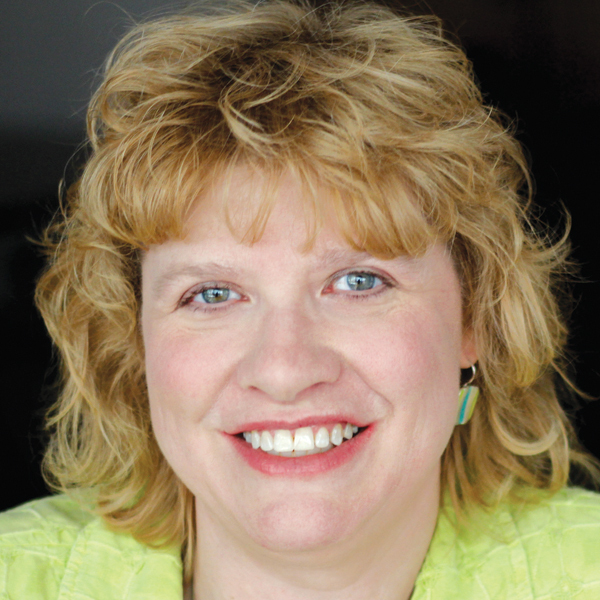 A small percentage of plans are facing severe financial difficulties. These troubled plans are categorized as being in “critical and declining status.” Plans in this status may consider applying for benefit reductions if such cuts will keep the plan solvent. These plans can use the rationale provided by Treasury in the Central States decision when drafting their applications. Some plans may want to “wait and see” what will happen with the other pending applications or with the November elections. However, timing is crucial. As explained in the April issue of Benefits Magazine, plans have a narrow window during which they can apply for reductions. If they apply too early, the plan may be too well-funded to qualify. If they wait too long, the plan may be too poorly funded to have a chance of survival. Stay tuned to the International Foundation. We’ll continue to keep you informed on important MPRA developments. Check out our MPRA page for the latest news.